Brinsley Schwarz are a legend in their own right, particularly the tales of the US Promotion disaster of their first album. They were lumped in with the Pub Rockers, but really thrived on a UK Version of Country Rock. The Band were big fans, as was Elvis Costello who nodded to them in Flip City and grabbed (What's So Funny 'Bout) Peace Love And Understanding. The band backed Frankie Miller on his debut album. Post Brinsley, Nick Lowe became Nick Lowe, Stiff Producer, solo artist, Rockpile member, part of the Carter Cash clan for a while, producer of the first five Costello albums and Lord of latter day Singer Songwriters. Brinsley Schwarz remains one of the great underrated guitarists of his generation, most notably as part of The Rumour with Bob Andrews. Ian Gomm is held in high esteem in Power Pop circles for his solo records during the UK New Wave heyday. The band were imploding when It's All Over Now was being recorded in 1975, the album was shelved and that appeared to be the end of that. In 1988, the album was released and quickly withdrawn. Eventually, Ian Gomm discovered the tapes were in Rockfield Studio's vaults and released the album in CDR form for a short while. Now on Mega-Dodo, the album gets a proper release. John Blaney's label has been bringing some fine offerings to the table in recent years and this is no exception. I've been fortunate enough to get an advance CD and the album is ace. It was a completed project. It also contains the original recording of Cruel To Be Kind. I'll be reviewing the album nearer it's April release date, hopefully with some streams. In the meantime you can pre-order the album on CD, Vinyl or Cassette here. I give you this advance warning simply because the Mega-Dodo releases tend to sell out pretty quickly. 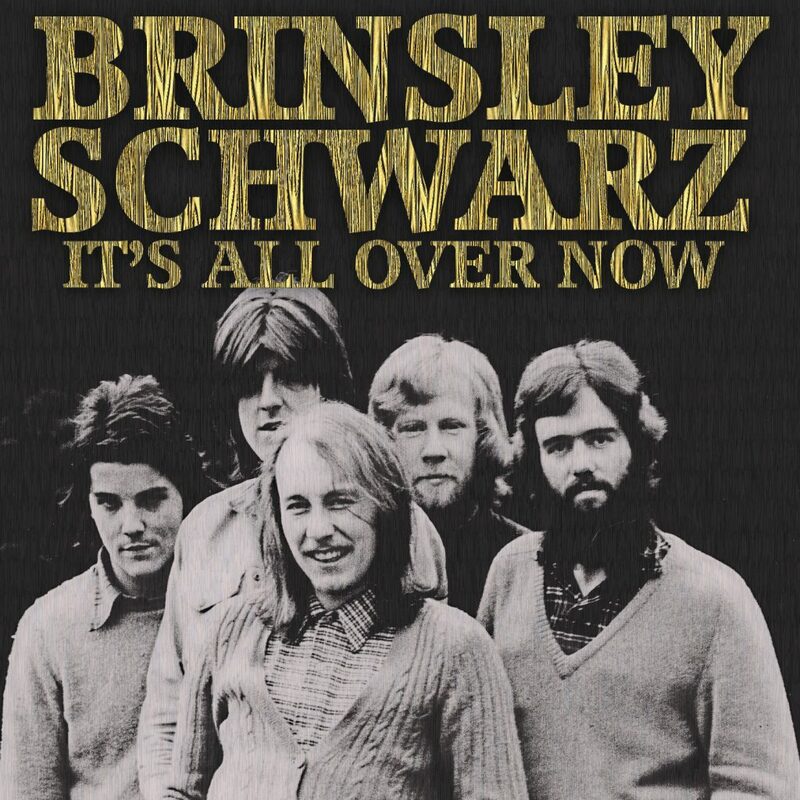 I'd also recommend the excellent book on Brinsley Schwarz which is a cracking read and reveals how influential the band were. You can buy that here. 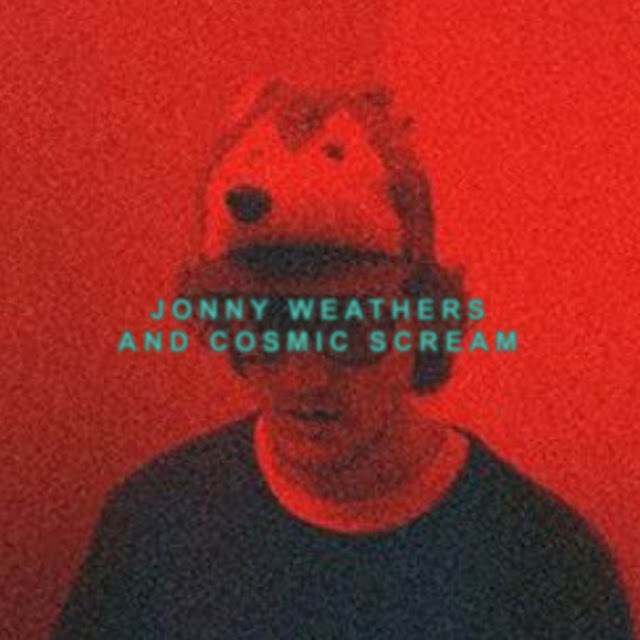 I'm absolutely loving the Jonny Weathers album and there are a number of reasons why. Firstly, it's wonderfully loose yet beautifully played. Secondly, I listen to so much sweet harmonic vocals, that to hear his growl. Finally, it's a really intriguing album, you think you've sussed it and reference The Stones or Primal Scream when they are focussed and then you get a big surprise. Toxic Pop Soldier is achingly beautiful, yet followed by Hendrix At The Hacienda which is Jesus And The Mary Chain. Shambala is White Album like Psych and nothing like the lazy drawling Caroline These Things Happen All The Time. The lead guitar throughout the album seems deeply late sixties, at times Peter Green like. With Weathers being a multi instrumentalist, it's even more impressive how the album has turned out, it's really cohesive but endearingly ramshackle. I know that's a contradiction, but listen and you'll see what I mean. The album is at it's best when it is in Rolling Stones Territory, but ten similar songs would just become a tribute band, it's the variance that makes it. Then there is the absolute gem that is Mongo Shaker. You can listen to the album and buy it here, you should. The real bargain is buying this album, a couple of bonus tracks and 2014's Miner's Union Songbook for just over a tenner. Many of you know how much I admire Sugarbush Records. Markus has been busy again with multiple releases this month. The Greek Theatre's follow up to Lost Out At Sea has been highly anticipated and you won't be disappointed. This is Psychedelia of the highest order from the Swedish outfit. 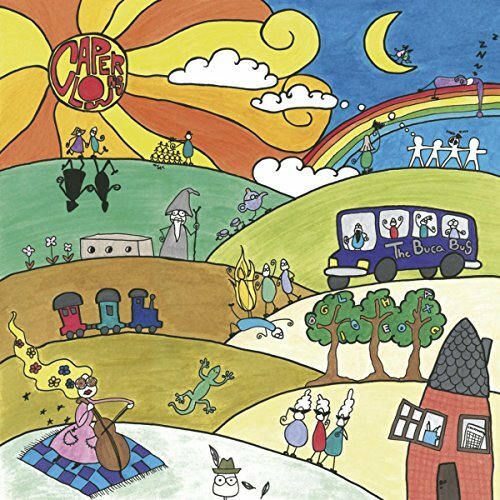 Laid back, bordering on Folk and Prog, proper Psych. Those gentle vocals weave into the pastoral background, this is real chill out stuff. The Greek Theatre are streets ahead of any of the Psychedelic pretenders. Don't expect to rock out. 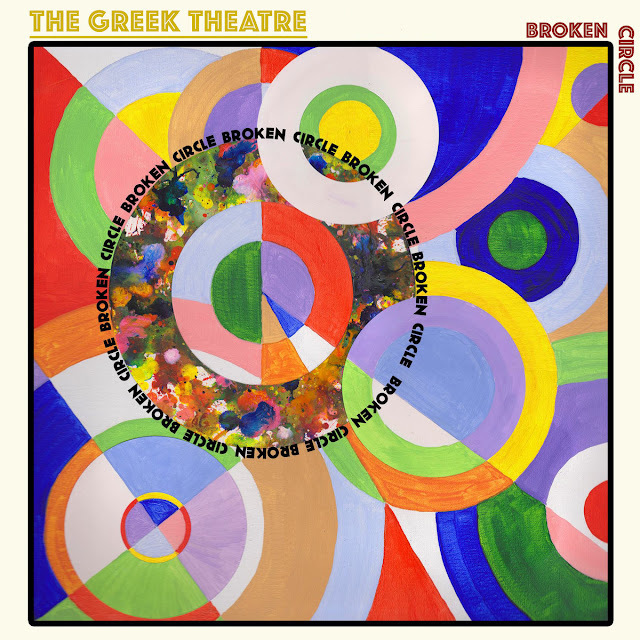 You need to allocate 43 minutes to listen to Broken Circle all the way through. It's hard to pick out favourite tracks from something put together so lovingly. It really does feel like a complete piece. Having said that, I've streamed my favourite two songs in this post and Stray Dog Blues is particularly wonderful. If you see the word Psychedelic and run away fast, this is the time to stop and listen, it'll change your mind. Tune In and Drop Out etc. You can buy the album here and discover Sugarbush's other delights at the same time. It does appear to be Scandinavia week on here, it's not intentional. Add that to the fact that I seem to live in 1975 and we have the perfect album. Odense's Caper Clowns have fashioned a great Pop Rock album. Although The Buca Bus feels very Summer Pop, with all four band members being songwriters, the album is never samey. Whereas Pockets is great harmonic pop akin to The Legal Matters and The Explorers Club, A Tale of Romance and Magnetic Trains could be Jigsaw. There's something for everyone here. The Banjos come out and suddenly it's New Seekers Time on All We Ever Do Is Run, yet As The Moment Takes You is pure Psych Pop. Sleeping On The Edge Of The Rainbow could be a Brit Pop ballad, Dressed In Flaws has a real disco strum. When I'm Alive is pure Roddy Frame and Mirror Me reminds me of Squeeze. What a cracking debut album this is, great singalong pop. The real gem is The Significance Of Teacup which is a cross match of Somerdale and The Monkees. If you want to hear what a great pop sounds like, you can here. It's available everywhere to buy, so you can head off to your favourite retailer now. I'm a great believer that albums should say what they want to say then do one. I know this can seem contradictory from a big Prog fan, but I'm reminded of the back end of Brit Pop when 12 songs became 60 minutes plus and featured three minute ideas extended to seven by never ending chorus repeats or monotonous guitar outros or worse still, two minutes of la la la's. None of that from Malmo's Nightmen. 12 songs, 26 minutes and a thoroughly good listen. There'll be plenty of Ramones comparisons, but so what and the alternate male / female vocals work as they break up the album even more. In between the Garage Rock, there are absolute gems like I Only Want You with it's Power Pop chorus and organ runs. The Three lead vocalists things works. Smulan comes across as half Patti Smith, half Lene Lovich on Go Go and Beach Party. Lucky One though is more early Blondie. There's a real CBGB's feel but enough variance to keep you hooked. It is all a bit heads down, but smatterings of nods to the likes of Lou Reed, Talking Heads and even Buzzcocks make this a really enjoyable album. I'm really looking forward to the follow up in April. 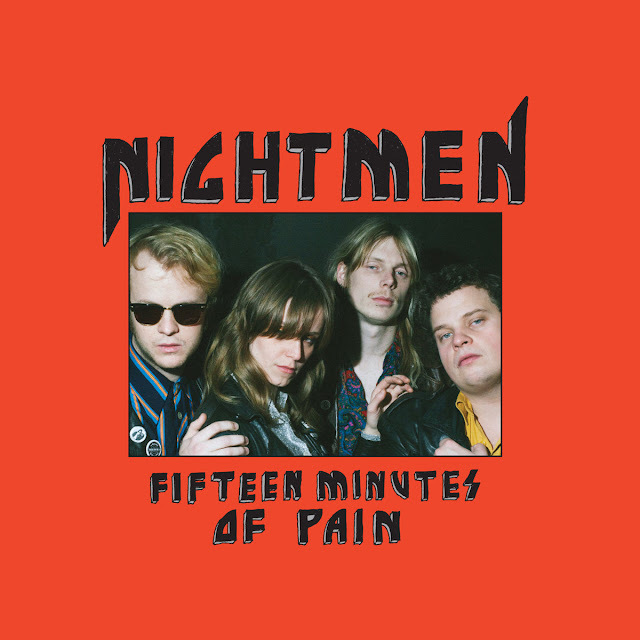 You can listen to and buy Fifteen Minutes Of Pain here. 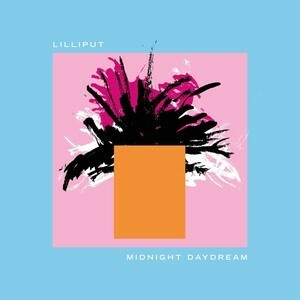 Sunderland's Lilliput recorded this debut album in Liverpool, but the vibe is far more afield. The band has fashioned up a wonderfully laid back affair that owes as much to the 70's West Coast as it does to UK Pop. There's even Jazz and Funk influences. Midnight Daydream is a really accomplished offering. Two thirds through you think that you've sussed the band and they are close to Tame Impala, then the pop shines through. Waiting To Go is so 70's Pop Rock it could be 10CC, whilst The End is Dodgy or The Bluetones. I get so tired of the genres that keep popping up, Sludge Metal anyone? I've often wondered what Baroque Pop is. it could very well be this, a sort of Steely Dan go Psych Pop. The folk influences are there too. This is a wonderfully textured album. Another observation is that for all the grooves that are hit, ypu are suddenly thrown by a Prog like Tempo change. Heavy Clouds starts Beatlesque, then hits a lounge like groove. Sha Sha is a shuffle that ends up Doobie Brothers. The whole album is like this, it's an absolute joy. Then there is Catch The Monkey which is a corking slab of Psychy Pop. All nine songs add something on each repeated listens. It's an album that deserves to be listened to in 31 minute full sessions. One of the best things that I've heard in a long while! You can listen to the album here. The album is available to buy for download from the likes of Amazon here. I believe there are some copies left on CD and Vinyl, if so I'll update this post. I've been banging on about how much great Pop and Rock has been coming out of the Scandinavian countries lately, ably assisted by my good friend Nick Fletcher. 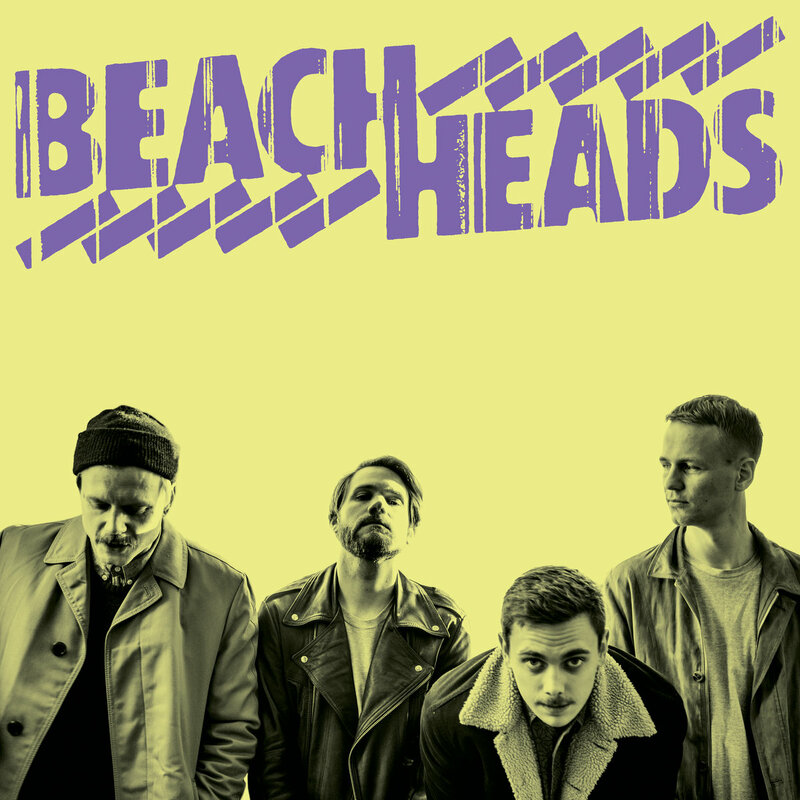 Norwegian band Beachheads are another fine example. The band come across as a UK New Wave Band from the late 70's or the more melodic outfits of Brit Pop. Lots of Riffs, I've seen comparisons to The Only Ones and I can see that, but the vocals are far more akin to Pete Wylie. The whole album is great singalong Power Pop, reminds me a lot of the bands that were coming out of Liverpool's second Merseybeat, a scene I know all too well. Then along comes something like Reverberations which is pure Plimsouls or Paul Collins. Procession could be The Pale Fountains and the album's closer, It Feels Alright sounds very Noel Gallagher and the brass adds to it. But time after time, I come back to Wylie and The Mighty Wah and that's a real compliment. 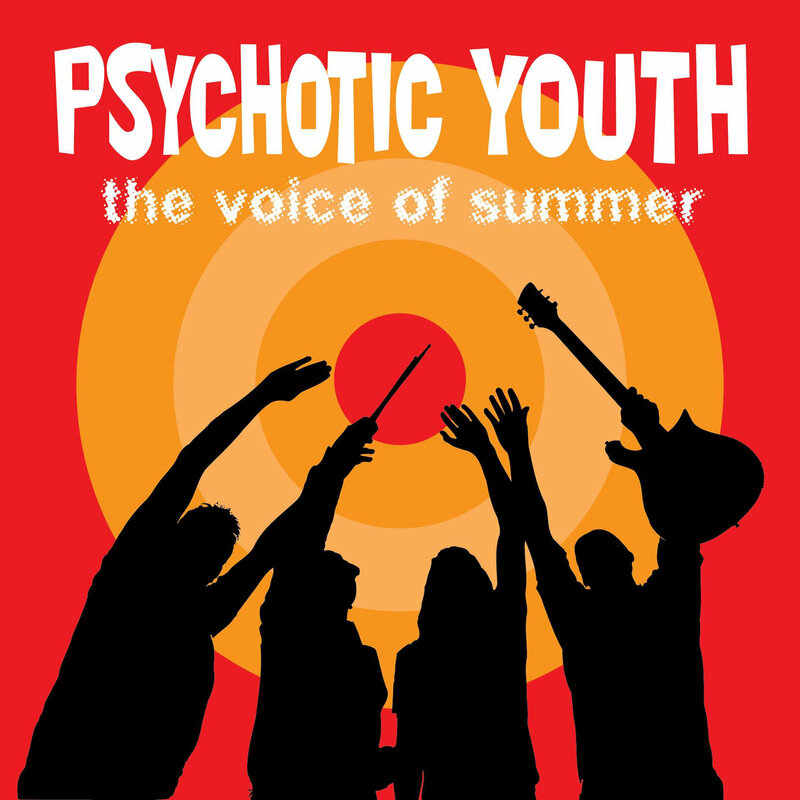 This is a superb upbeat Power Pop album that deserves your attention. Sometimes I think I know a lot about the type of music I like, but I try to surround myself with people who know as much if not more. Therefore it's a cracking surprise when you discover a band that you had never heard of. The Road Home hail from Enschede in The Netherlands and have fashioned a really accomplished debut album. 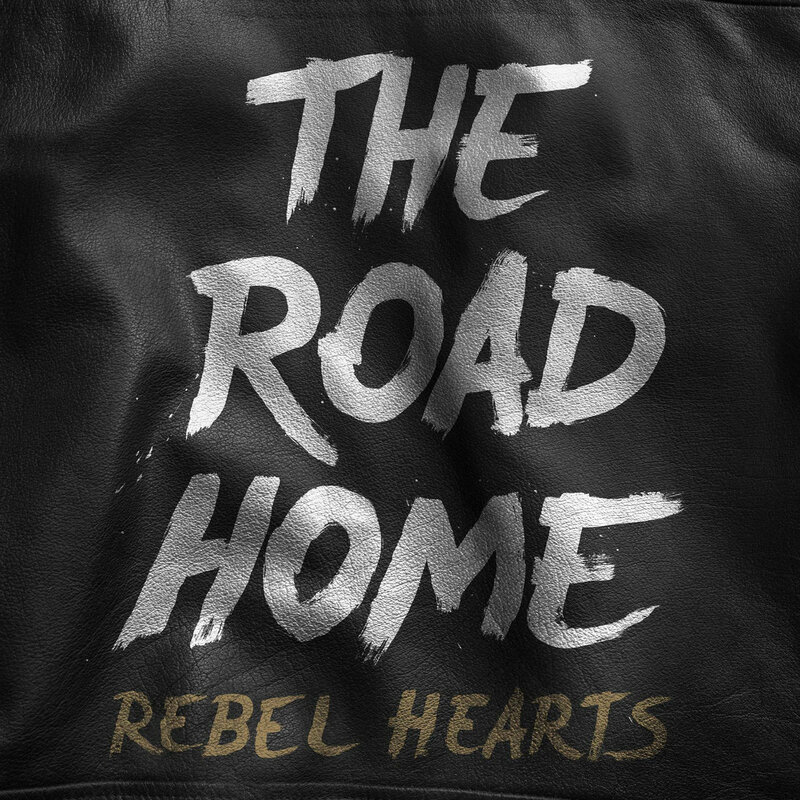 Rebel Hearts is suitably noisy and riff laden, at times they remind me of The Alarm, particularly on the likes of We're Never Coming Home. There's plenty of Power Pop nods, but the album is a real rockathon. Anthem lady, at times the acceptable face of Stadium Rock. Always On The Run and Sleeping Alone remind me of a Bryan Adams or Rick Springfield. The problem with debut albums can be trying to do too much and the quality control going awry. It's pleasing to report that there's none of that here. The album never lets up, it's one of the better debut albums that I've heard. It may also be that there's so much sweet laid back harmony around, that it was nice to hear something suitably noisy. 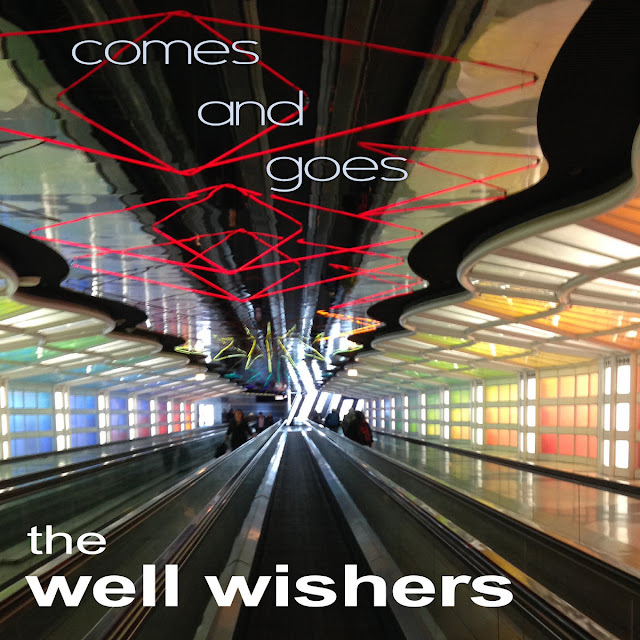 Comes And Goes is The Well Wishers' eighth album, none of the previous seven have ever let me down. In fact Jeff Shelton's beginnings in Spinning Jennies started the quality control and now provides a consistently great Back Catalogue. I always compare The Well Wishers with The Posies. Although there is always going to be a familiarity in what they do and you wouldn't want that to change, it's great that both try to provide something more than just the splendid Power Pop that they offer up. Whereas 2016 suggested The Posies had bought some new keyboards, it's the production on Comes And Goes that differs. It's far more of a Rock Production, the drums have definitely been pushed forward and it works beautifully. Songs like Three Nights In Bristol and Nature's Son really rock. Don't get me wrong, there's plenty of the Power Pop we know and love and quieter moments like the REM-ish Nobody's Dancing Alone. There's even nods to the likes of Aztec Camera on In Love With. There's a definite up and at 'em feel to the album, but like any Well Wishers' album, any of the 12 songs could be released as a single. My preferences are the likes of Ill Equipped and Get On By which move at a fair pace. The gem though features a guest appearance from the wonderful Lisa Mychols. Comes Around sounds like something that could be on REM's Out Of Time. I know any Jeff Shelton album is gonna be great, but Comes And Goes could very well be his best. You can listen to the album and buy it as a download or on CD here. Iain Hornal has been a long in demand Session Musician as well as part of Jeff Lynne's ELO and 10CC's touring outfits. He was also excellent solo support on last year's The Feeling Tour. 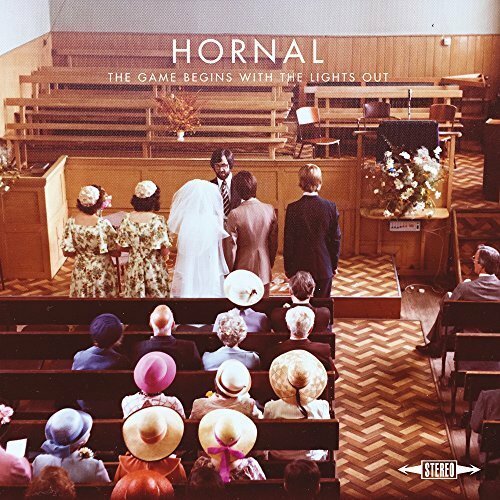 He steps out of the shadows with Hornal's excellent solo debut. For a blog that states that they don't hear a single, I know I know, it is ironic, I'd like to think that I know a great single and any debut album needs one. Well this has got just that, the fantastic She Doesn't Have Anyone is simply poptastic. She Doesn't Have Anyone will get comparisons to The Feeling, but to these ears it's more like Robin Zander's Reactionary Girl. The guest appearances add a lot to the album and it's wonderful to hear Graham Gouldman and Kevin Godley on the album closer, Say The Word. In fact it's like a dream for IDHAS and ASH followers with Matt Berry doing his spoken word Stephen Toast bit. The lead guitar is also a cross between 10CC and ELO. It's an epic six minutes. Dan Gillespie-Sells and Ciaran Jeremiah guest on Pictures Of Past, a song that sounds nothing like The Feeling, it's more Simon and Garfunkel. Anna Krantz's guest vocal can only take Different Places down the Country / Folk route and it does beautifully. You'd expect Billington And Quinn to do something similar, but Jennifer is more Take That. It's not about the guests though, Hornal don't necessarily need them. Caledone is McCartney at the piano and beautifully moody, Quit You is so West Coast, Staring At The Sky could be The Alan Parsons Project. Any Other Way could be Paul Carrack in his heyday. Sophie Ellis-Bextor is really underrated as a solo artist and the two songs that she appears on are ace. Dangerous Men starts with a Chic like Intro, has a Bowie like verse and then a dramatic chorus. Running Away is a splendid duet, very different to what surrounds it. The Game Begins With The Lights Out is a wonderfully constructed debut album. The guest appearances add to the album, but don't detract from whose album it is. It is a cracking album, well worth getting the card out of your wallet. It's superb. You can buy the download at the likes of i-tunes here. It is also available as a CD or on Vinyl here. 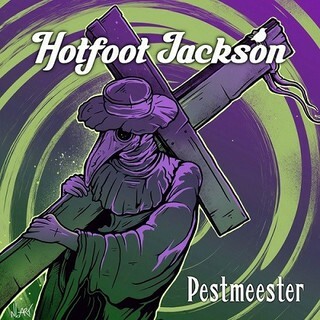 Stoke's Hotfoot Jackson appeared out of the ashes of All About Eden and they've taken the best out of what made that band work coming up with something less electronic and more Pop Rock. The result is Pestmeester and it's a fine album. The likes of I Am Water veer well into the Pop Punk Tent. but largely the album hits a melodic riff and sticks to it and that's what makes it work. Anthemic songs such as Last Man Standing hook you and keep you hooked. I spend a lot of my time telling people that US Bands sound like they've come from the UK. This is polar opposite, very US like, big production, well arranged and lyrically wise. I'm not sure that many others in Stoke would come out sounding like this. Joyride is Green Day like,, then Beard Boy could be a keyboards version of Fountains Of Wayne. Paper Planes is the big Closer, the vocal is very similar to the likes of ELO II era Eric Troyer. All in all a surprisingly good Pop Rock album. Well worth investigating further. I like it a lot. You can buy the album at the likes of Amazon here. Glasgow's The Wakes are labelled as Folk Punk, you should ignore the label because these guys are much more than that. It always concerns me that as soon as something is labelled punk that the masses ignore it. As a live act, the band have gained a burgeoning reputation and you can hear why. There's some lazy comparisons to The Pogues, but they are far more New Wave and socially conscious than that. There are times when the Folk takes hold, No Human Is Illegal could almost be Runrig, but largely this is great rock. The Spirit of The Clash is certainly there, but likewise both popular line ups of Dexys. I Believe could be The Jam, yet the title track could be Big Country. There's not masses of streaming links for you, so I've included the You Tube Promo so that you get a gist. This is the band's best album yet, it'll keep those who love the sentiments, but it will add those who want a rocking good time. 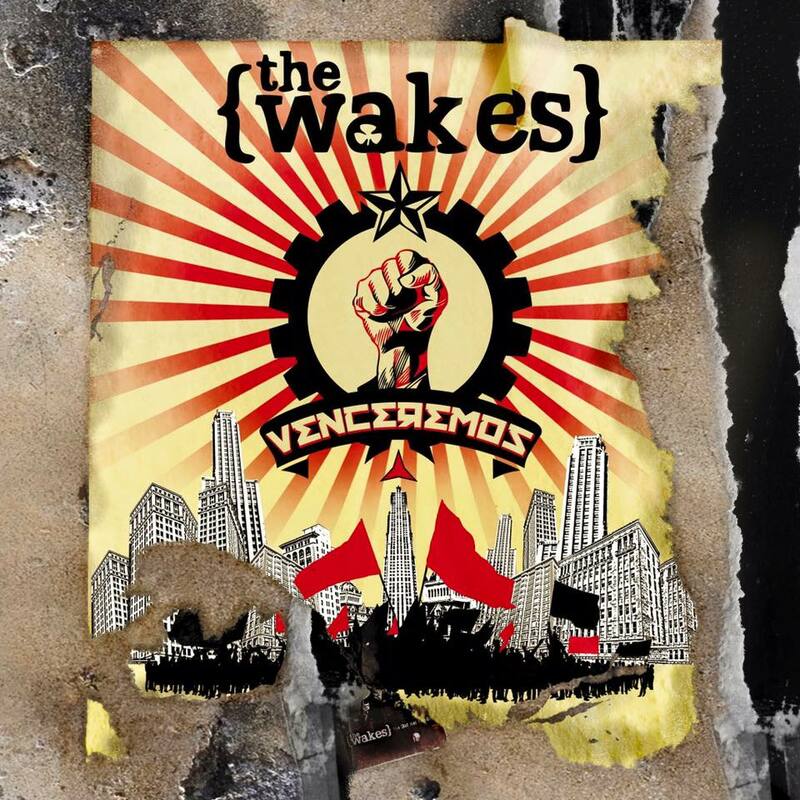 Venceremos is a corking listen. You can buy the album here and here and everywhere. Let's hope Power Pop isn't dead or I'm out of a job. Birmingham's splendid Sunshine Bloom have fashioned up a fine five track EP, their second. Any band that covers 10CC's Rubber Bullets live are more than welcome in this district. I get as tired of Jellyfish comparisons as all of you, but the opening song, Friends With Detriments, comes pretty close. Jaunty harmonic pop is the name of the game and this EP promises so much for the future. I have long been involved in promoting great lost albums and bands and some of you will know that I have Trickster down as one of the great lost bands of the 70's. Well Sunshine Bloom remind me so much of Trickster and in particular their debut album, Find The Lady. I can give them no greater compliment. There's also plenty here to remind me of Silver Sun, Ben Folds and a lot of the better Brit Poppers like Straw and The Supernaturals. I Me You is very 10CCish and Have Wings Will Travel could be one of those great 70's like Pilot, but again I come back to Trickster. The real gem though is the closer and this reveals the further directions in which the band can travel. Farewell Waltz is a 5 minute plus brooding joy, it conjures up images of a John Miles's Zaragon and threatens to veer into Prog. It is the best thing that I've heard in ages. It's not often that I get excited, it isn't good for me ha ha. 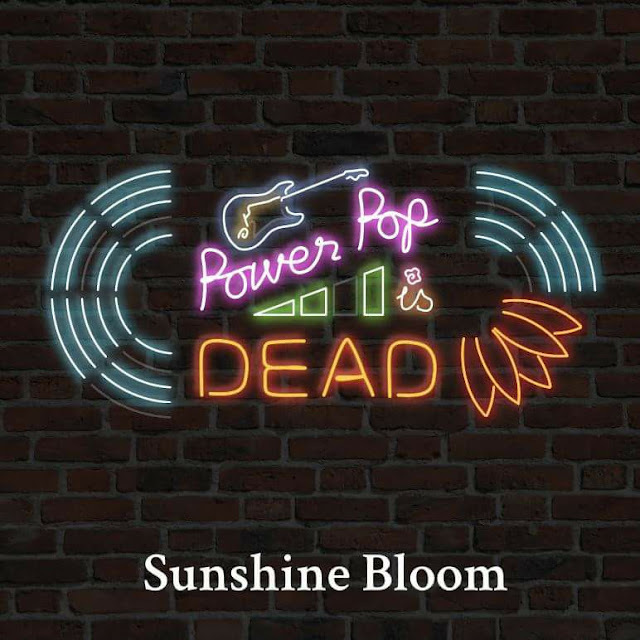 But The Power Pop Is Dead EP is a real gem of a release and I can't waut for what the band offer up next. Have Wings Will Travel is the most played thing on my ipod in the past fortnight. You can listen to the EP here. Now the fantastic news. You can currently get the EP as a free download in MP3 or FLAC for a limited period. You should head there now. There's loads of great Scandinavian Pop and Rock, it just doesn't get the attention it deserves. It really just isn't all about Roxette. Fortunately, we have an expert on these matters at IDHAS, Nick Fletcher, I just wish the public would get to hear from the man more. After 18 years, Sweden's Psychotic Youth are back and they've lost nothing of their drive and punch. The Voice Of Summer is brilliantly up and at them, a breath is rarely taken. Think of any of the great New Wave and Power Pop bands of the early eighties and this lot stand comparison. The speed of delivery gets many Ramones comparisons, but the American Power Pop bands are far nearer the mark. Bands like The Plimsouls and The Beat or when the organ drives the songs, The Fleshtones spring to mind. But there's plenty of UK influences, The Vapours and The Undertones and their like. Goodbye Girl's chorus sounds suspiciously like Squeeze's chorus from the song of the same name and the vocals can be like a rocked up Lloyd Cole. If you like your crunching riffs and particularly if you've delighted in the recent trend of great harmonic pop but wished it would rock a bit more, this is the album for you. It made me think I was 16 again and heading off for the next gig. This Is Rock N Roll made me yearn for a Dr Feelgood gig. I could go on far more about how great the album is, but I'll let you confirm it by listening to it here. It's impact may have been exagerrated by my yearn for an album to let loose, this certainly does that. It's simply ace. You can buy the album on CD at Kool Kat, the vinyl at Juno and get the download at the likes of CD Baby. After recently bemoaning the lack of activity in UK Pop, I get a second album from Wales that knocks my socks off. This is very different to the Armstrong album though, it's classic 70's Pop. Laid back and beautifully produced. Whereas I listen to a lot of harmonic pop, too much at times, most of it wants to be Brian Wilson or The Zombies. Michael Roberts, of The Somethings, is very much in the mould of breezy 70's Summer Pop. When You Shine (above) has a joint vocal with Donna Howell and her Jacqui Abbott like vocal blends beautifully with Robert's voice. A great Summer Pop Affair and surprisingly, it's not my favourite song on the album. Hard to believe there are better, but the quality rarely lets up. I felt a lot of similarity to Stephen Bishop generally in the vocal delivery, My Angel is so McCartneyesque and 1973 in a way that you expect Noddy Holder to pop out and what a great arrangement. Let It Go could be Gilbert O'Sullivan or John Howard and I think of the latter a lot when I hear the arrangements. 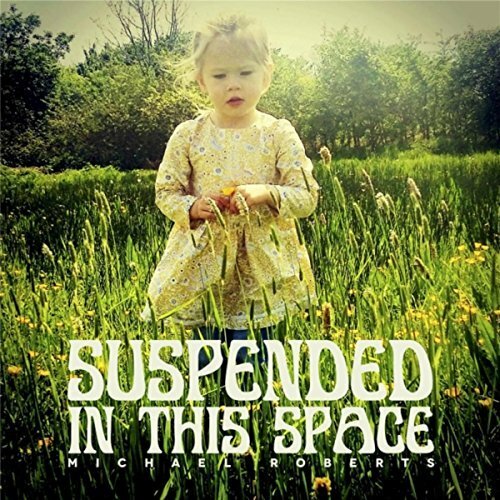 As a debut album, Suspended In This Space is a great thing indeed. With his vocal range and technical ability, I would like to hear Michael rock out the odd time. That, however, seems a minor quibble with the quality on show here. He'll be at IPO in Liverpool in May and that is turning into quite a bash with the anticipated line up. It's threatening to be the best line up ever and it'll be great to see these songs sung live. I can't recommend the album highly enough. You can buy the album for download or CD everywhere. I always mention Ray's Koolkat emporium, simply because he's so supportive of the music we love. You can buy the album from Ray here and you can listen to previews of all eleven songs at CD Baby here. Ottawa's The Beautiful Music Label is building quite a reputation. For those who want convincing, the label has a 18 song sampler available as a free download here. The label is also home to Welsh Wonder, Armstrong, whose 2009 album, Songs About The Weather, was a thing of great beauty. Julian Pitt may hail from Wales, but he's got far more in common with Scottish Label, Postcard. Comparisons to Aztec Camera abound and in particular to Roddy Frame's solo albums. The strange thing is that he seems such a secret, almost deliberately. Social Media is a barren land to Julian, so it relies on the likes of IDHAS to tell you all about his adventures. My own comparison musically is to imagine Teenage Fanclub fronted by David Scott of The Pearlfishers. 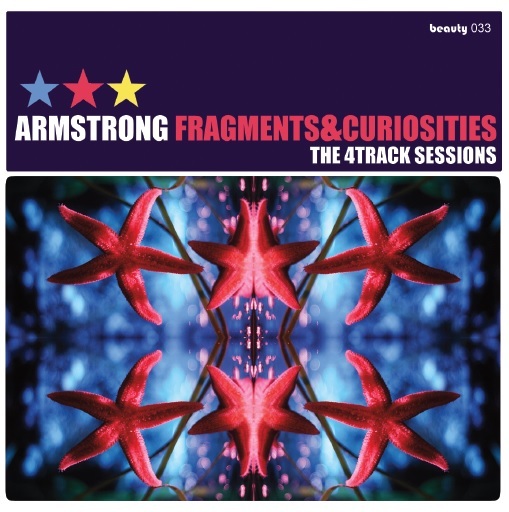 Armstrong are currently recording a new album, In the meantime, Fragments And Curiosities rounds up a collection of 4 Track rarities. Don't expect sonic excellence, but the album isn't intended for that. It is to make available songs from the intervening years from the only available source. You can listen to and buy the album for download here. Buying The CD from The Beautiful Music's website will also get you Songs About The Weather Free. You can buy that here. My favourite song on the collection is Pilgrim Heart. The sound is a little ropey, but the jauntiness shines through. I'm already looking forward to the next stage of Armstrong's output. 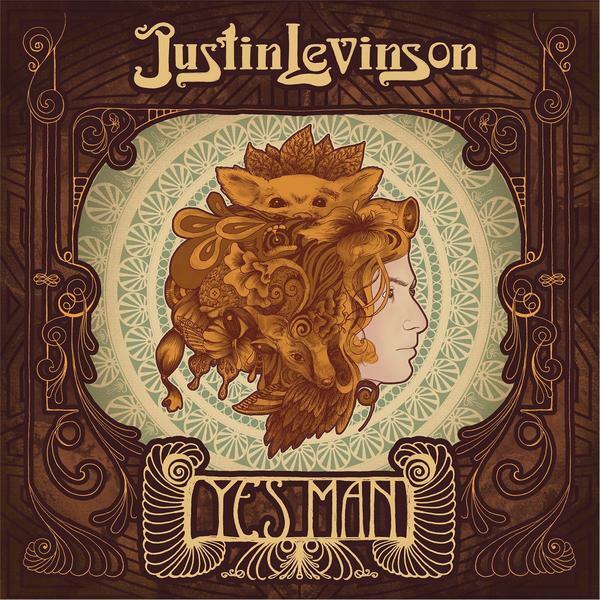 Los Angeles based Justin Levinson offers up his fourth album and it's very much the Breezy Summer Pop that we love. There will be obvious comparisons to the likes of The Beatles and The Beach Boys, even The Zombies. However to these ears, comparisons are more apt to the likes of The Explorers Club and The Legal Matters. The harmonies and hooks are all present, the main difference is that the songs are more piano led, so Ben Folds springs to mind, also a happier Rufus Wainwright. Although very much set in 60's Pop, songs like Megaphone are more in line with the likes of John Howard, particularly his 70's output. There's also hints of Jellyfish, but if you read most Pop Reviews, Jellyfish get mentioned somewhere. The album certainly reminds me more of one of those great post Glam pop rock albums of the 70's. It'll not provide anything new to people who don't listen to Pop, but there are a lot of fans out there who love harmonic pop. I'm one and in these uncertain times, reminders of summer are more than welcome. I like the album a lot. You can buy the album everywhere, here's the Amazon link. When I think of New Zealand music wise, I muse about the pastoral pop that regularly chimes from those shores and the magnificent Flying Nun Records. The latter is forever an eclectic label, but at it's best when it's releasing great pop. The Bats are a fantastic example of the former and they are also on the Flying Nun label, two birds with one stone if you like. I'm sure that others will have already mentioned it, but I cannot understand why The Bats haven't been as big as Crowded House, luck maybe? Now into their fourth decade and over five years since the splendid Free All The Monsters album, The Bats return and they've lost nothing in their impact. The guitars jangle and chime, the catchiness of the songs still hooks you and the folk influences prevail but never affect the jauntiness or make the tunes sound fiddle dee dee. Robert Scott can sound a bit Michael Stipe at times, but if I had to compare the band to anyone, it would be my beloved Go-Betweens. The lyrics are certainly darker, Free All The Monsters suggested that, The Deep Set moves this on a pace. The more the album progresses, the more that melancholia shows itself, but The Bats could never make you feel miserable, that gentle jingle of the guitar won't let them. 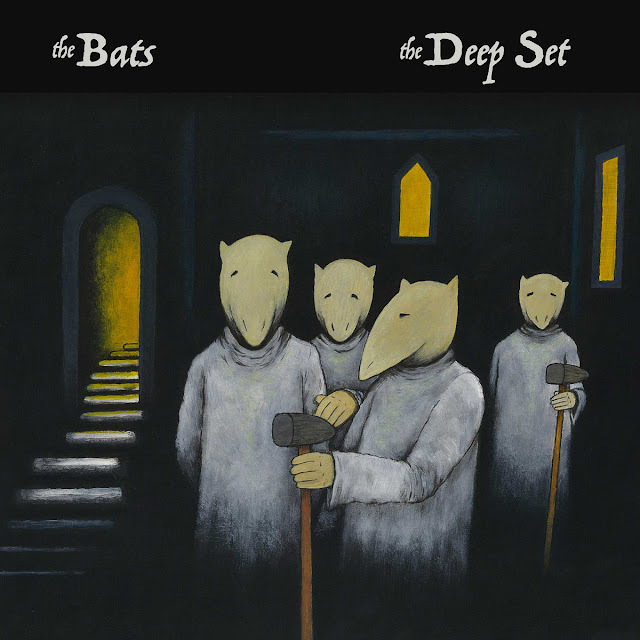 The Deep Set is another great offering from The Bats. I'd be really shocked if it wasn't. You can listen to the album and buy it here. I Don't Hear A Single only reviews what I like. There's no pay to play or any such rubbish, if I like the music, I review it. It's not linked to anything else at Anything Should Happen, it's a stand alone Blog. All it relies on is me discovering an album or it being sent to me. IDHAS has grown considerably in the six months or so since it started. The big question I have though is where are all the UK artists. Over 90% of artists and bands that I review or talk to are from the States. I know the world wide web is errrrrrrrr worldwide, but surely there must be similar great music around my home shores. If you think I've missed out on what you do, email me at the Blog Email or via Facebook.